Nearly all the ice on Earth is in some state of meltdown. As it spills into the ocean, it raises sea levels. But if you’re curious to know exactly which glaciers are going to drown your corner of the planet, NASA’s got some answers. A new study published in Science Advances this week provides a super detailed look at local sea level rise using seemingly backwards physics and high tech models. The findings show which glaciers and ice sheets should most worry you if you live in New York vs. Sydney vs. any of the other 291 ports analyzed in the study. The study’s breakthrough—dubbed gradient fingerprint mapping—came from “switching the point of view from someone sitting on the ice and trying to understand how ice melting locally will impact sea level everywhere in the world, to someone in a coastal city trying to understand how icy areas everywhere around the world will impact sea level rise locally,” study lead author and NASA Jet Propulsion Laboratory researcher Eric Larour told Earther in an email. It turns out that sometimes, it’s the ice furthest away from your location that can pose the biggest problem. Take New York and Greenland. The Greenland ice sheet contains enough ice to push sea levels 20 feet higher were it all to melt. But the glaciers ringing Greenland are melting at different rates, and will continue to do so as the planet warms. The new findings point to glaciers on the northeast corner of Greenland—those furthest away from New York—as the biggest contributors to sea level rise. That’s where the weird physics comes in. Sea levels will actually drop near locations where there’s a large enough ice loss, because there’s now less gravitational pull. That insight builds on previous research performed by Larour and his colleagues last year, as well as observations from NASA’s recently defunct GRACE satellite. All that water rushes away, and in this case it ends up on New York’s shores. The research also shows that Oslo’s sea level would actually drop if only northeast Greenland melted, a result that even caught the researchers off-guard. “We expected to see variations in the way areas of Greenland for example affect Northern America and North Europe, but not in a way that was so spatially different!” Larour said. The resulting analysis was spun out to include the Antarctic as well. 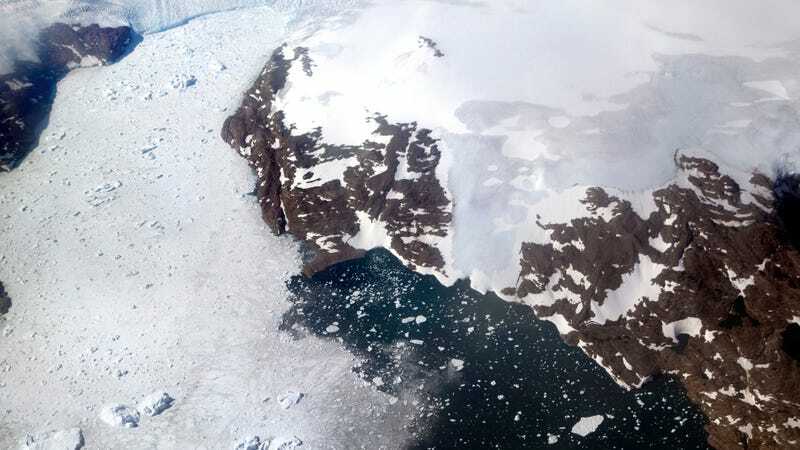 The West Antarctic ice sheet, which could raise sea levels up to 13 feet, is already in what some researchers fear could be unstoppable collapse. The new research shows that collapse there would have a major impact on Sydney, Australia. That’s not just cool but also a huge asset to city planners hoping to understand the risks individual glaciers and ice sheets pose. For example, Peterman Glacier in northeast Greenland is one of the fastest-moving glaciers in the world. Knowing that, and knowing that it’s a major driver of sea level rise in New York, can help adaptation planners prioritize marsh restoration or sea walls over, say, improving sewers to deal with heavy downpours. Though if we’re being honest, they should probably just do both. Ryan Fitzpatrick&apos;s Gotta Start Next Week, Right?